Here are a couple of tidbits of interest from the 2011 World Championships from my vantage point. It’s a shame we didn’t see how fast Usain Bolt could have run the 100 meters. He believes he could have (should have?) run 9.6 or 9.7 and his coach Glen Mills thought he was capable of running in the “9 sixties”. I’ve long said the best way to calculate 100/200 potential is double your best 100m time (+/- 0.2) to get a 200m time, assuming all the training is in place. When you consider Bolt ran 9.69 & 19.30 in 2008, and 9.59 and 19.19 in 2009, running 19.40 200m could be interpolated as a 9.70. And when you consider he had a terrible reaction time and tight lane draw with Lane 3, we could be looking at the 9 sixties. He is still nursing a tender Achilles tendon as that is the main reason why he ran anchor in the 4x100m relay. Last year, I wrote about how the Women’s world records were almost impossible to break with the exception of the recent additions of the Pole Vault, Triple Jump and Hammer Throw. The reason was possibly the “easier” drug testing policies from the 1980’s. I never thought I would see the 12.21 WR of Yordonka Donkova 100 meter hurdles broken anytime soon. Sally Pearson from Australia came ever-so-close with her 12.28. There are two take home messages. 1) Speed wins. Just ask USA’s Gail Devers. Thus Sally also competes in the 100 meter with a PR of 11.14. 2) She had the same coach, Sharon Hannan, for 12 years since she was 13 years old. In a male dominated profession, it’s nice to see female coaches excel. Once again, as expected, the USA won the 4x400m. But the rest of the world is catching up slowly. With a stockpile of good 400m hurdler’s, you would think their lineup was a lock-in for gold with their talent pool, along with the top 6 finishers from the open 400 meters. Looking at the performances from the 2nd and 3rd legs, which were 400mH guys (Angelo Taylor, Bershawn Jackson), you had to start second guessing the coaching decision for the selection and order. In the past, these legs would annihilate the competition. 1st leg is your most experienced runner as the 3 turn stagger makes it hard to determine race position, thus you must run your own race. 2nd leg is the most aggressive runner, one who likes to take it hard the first 200 meters and not afraid to die. This leg cuts for the pole after 100 meters and you have to get aggressive to get in front. 3rd leg can be your “weakest link”. 4th leg is usually your fastest runner. Luckily for the USA, they saved their best leg for last, and I have to commend LaShawn Merritt for his race execution despite not racing for 2 years. He simply did not panic, tucked in and stayed relaxed, then ran for home at the home stretch. He knew his ability (and the competition) very well! Mr Lee, you know time for relay of Bolt?i think that perhaps he broke 8.70 record Powell. @harry, unfortunately I do not have access to my digital video equipment right now. But it was very close to 8.70 as his 200m “predicted” he could run 9.70 for the open 100m. 9.80 with -1.4 would be with +0.9 in Berlin around 9.66, perhaps the shape that Bolt is now. The current false-start rule has to change! Track and Field needs to go back to the old rule! The first false start should be charged to the field. After that, then commence disqualification for subsequent false starts. Also, eliminate the .100 rule. There should not be a waiting period between gun blast and reaction.In addition,there should be uniform starting procedures. The gun should always sound the same and there should be the same time lapse between On Your Mark, Get Set, and gun blast. Would you mind giving me the splits for Jamaica’s 4 x 100 WR effort? 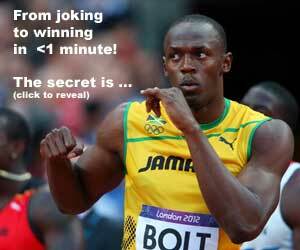 Also, do you have Usain Bolt’s 50m or 100 m split in his 19.40 WC victory? Ok no problem Mr lee i hope that you can soon access to your digital video equipment. And Mr Lee you have split times for Blake in his 9.92 with big headwind?Because would be great see with those conditions his splits, i read in some place that perhaps he had around 0.83 at 60-70m(would be very great), you have any information? If Asafa Powell ran a 8.73 split in 2009 WC, then what was Usain Bolt’s split for the third leg? What was Yohan Blake’s split time for the third leg in the 2011 WC? Please give me the info quickly so I can inform WIkipedia.